All over the world, billions of tons of scrap metals are used for many different purposes. Metal that is no longer in use for its original purpose is discarded and then called scrap metal. Bits and piece of metal that come from industry or manufacturing that are not needed are also discarded and collected as scrap metal. Scrap metals are then sold to and purchased by scrap metal recycling centers to either be reused in a different way or melted down to make new metal products and parts. Studies show that just about every piece of metal on earth, everything from gold to iron, has metal components that were once discarded and called scrap. Scrap metals are very beneficial to industrial and manufacturing businesses. In fact, the scrap metal industry in Massachusetts is one of the fastest growing and most promising industries in the world. Iron scrap is one of the most common types of scrap metal and, along with other types of ferrous metals, is used for many different purposes. Iron scrap in New Bedford and all around the world, comes from many different sources as well. Construction sites, salvaged automobiles, bridges and architectural structures sell leftover iron scrap to scrap metal recycling centers. Broken appliances and other household materials also contain iron and are sold for scrap to be recycled into other products. All of these items are recycled and used for other purposes, such as creating new product and parts. Some metals are used again for construction, bridges, roads and architectural design. Iron scrap is also used to make automobile, trains, aircraft and other types of vehicles. Using iron scrap in New Bedford for manufacturing helps to conserve natural resources and is much more cost-effective than using raw materials. Scrap metals, such as iron scrap, are also used to make various materials used in packaging and consumer-based products. Cans and tins that are used for different purposes are manufactured from iron scrap metals. When consumers and industrial businesses recycle iron scrap in New Bedford, they help to decrease the need to mine raw materials to create new products, which can diminish natural resources and consume a lot of energy in the production process. Aluminum is another widely used type of scrap metal that is recycled and used frequently by consumers. Scrap metal recycling centers regularly take in aluminum in the form of cans and other product packaging and recycle it to make new cans and other aluminum products. Soda cans, juice cans and other related items are by far the most widely recycled type of metal seen in the scrap metal industry in Massachusetts by consumers. America has a strong recycling relationship with aluminum scrap. It has been extracted from discarded products and materials ever since the increased need for it arised. 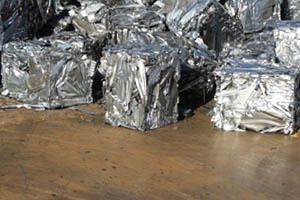 Aluminum scrap is one of the most important components used in the scrap metal industry in Massachusetts, across the country and around the world, as it is being used in most industries across the board today. Recycled scrap aluminum is being used to manufacture many of the things we use today in residential, commercial and industrial construction. Scrap aluminum can be found in windows, doors, automobile parts, electrical appliances and much more. Because recycled materials can be purchased at a much more affordable rate than raw materials that have to be mined and refined, the cost-savings are passed down to consumers and contractors, making the finished products and materials even more cost-effective. Whether you are looking to recycle iron scrap in New Bedford or you are in the business of buying recycled scrap metals, the growth experienced by the scrap metal industry in Massachusetts will definitely work to your advantage. Scrap metal recycling centers, such as Mid City Scrap Iron & Salvage in Westport, MA, that have been in the business for generations, have grown their business as the community’s need for recycled scrap metals has increased. New technology and methods for recycling scrap metals to create new products or products that can be used in manufacturing, making scrap metal recycling centers like Mid City Scrap a value to residents and businesses in the South Coast area. Not only do they provide a service to the community, but they also help the people of Southeastern Massachusetts do their part to reducing waste and energy consumption while maximizing the potential of our natural resources.